"A Venetian Painter’s Use of Colour and Light in Tuscany". Some of my works in my studio. Gianfranco Mello was born in Venice in 1933; his mother, Irma Vianello, was an intelligent and sensitive woman, and his father, Bruno Mello, a painter and important figure in theatre. As a young child, he moved to Florence with his family. He now lives and works in Florence, dividing his time between his large studio in Borgo Pinti in the town centre and his second studio in Pian dei Giullari in the Tuscan countryside. He is, arguably, the only painter of his generation to have taken part in the most important artistic shows while still very young, gaining both regional and national acclaim, as well as meeting important figures from the world of culture. In 1950, when only 17 years old, he held his first solo exhibition at the Florence Lyceum; the show was reviewed by Professor Alessandro Parronchi. 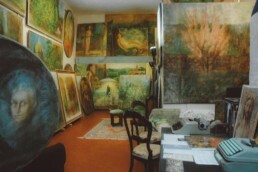 In 1951 he was already living and working in his Via dei Conti studio in Florence, opposite the Medici Chapels. The studio was a meeting place for friends and members of the cultural and artistic milieu. 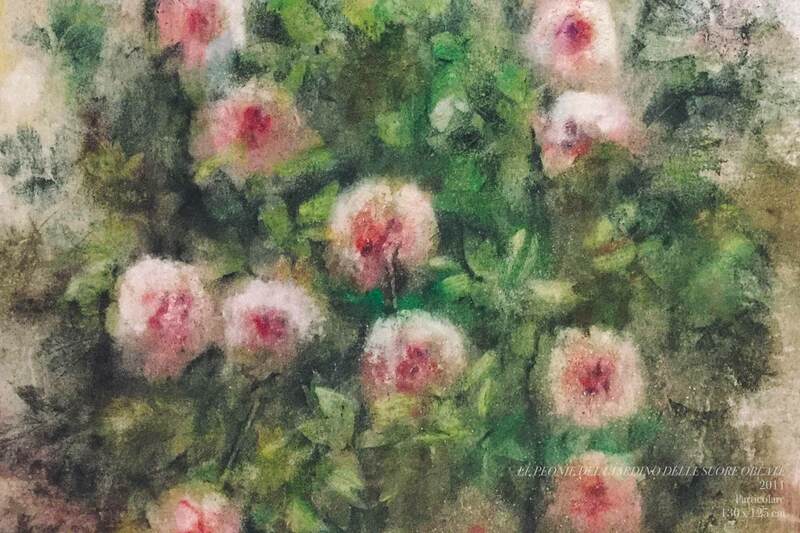 It was in his studio that he met and became friends with Silvano Falleni, the painter and set designer, with whom he later shared a studio in the historic centre of Rome. 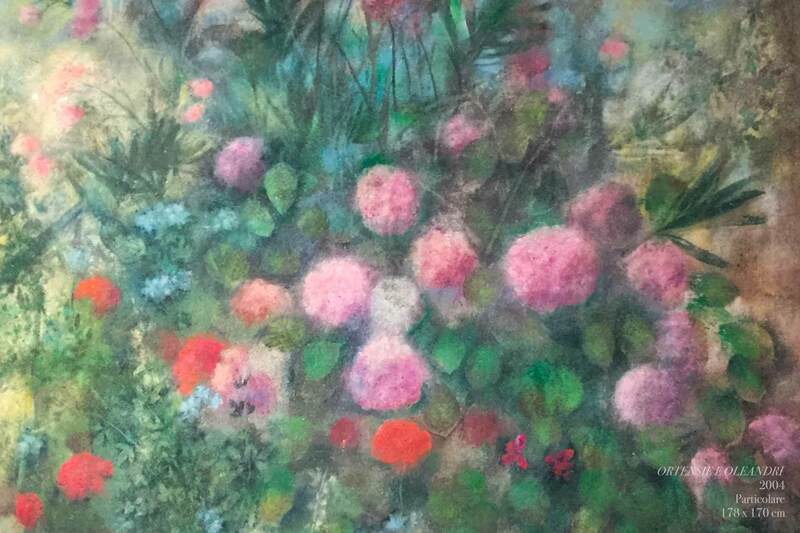 He took part in regional and national exhibitions; since 1954 he has shown his work at the National ‘Premio del Fiorino’ Exhibition in Florence. 1952 First Prize at the National Painting Competition (Premio Nazionale di Pittura), Noceto, Parma; judged by Antonio Bertolucci, Raffaele De Grada, Alessandro Parronchi, Orio Vergani, G. Marussi, Agnoldomenico Pica; competitors included Luciano Ricchetti and Bruno Cassinari. 1953 Invited to take part in the ‘Premio Marzotto’ National Contemporary Painting Exhibition in Palazzo Venezia, Rome. The competition panel of judges included Renato Guttuso, and Felice Casorati; competitors included Carlo Levi and Fausto Pirandello. 1954 Invited to take part in the ‘Premio Suzzara’ Competition in Mantua – Work and Workers in Art. Judged by: Ettore Gianferrari, Raffaele de Grada, Orio Vergani, Cesare Zavattini. 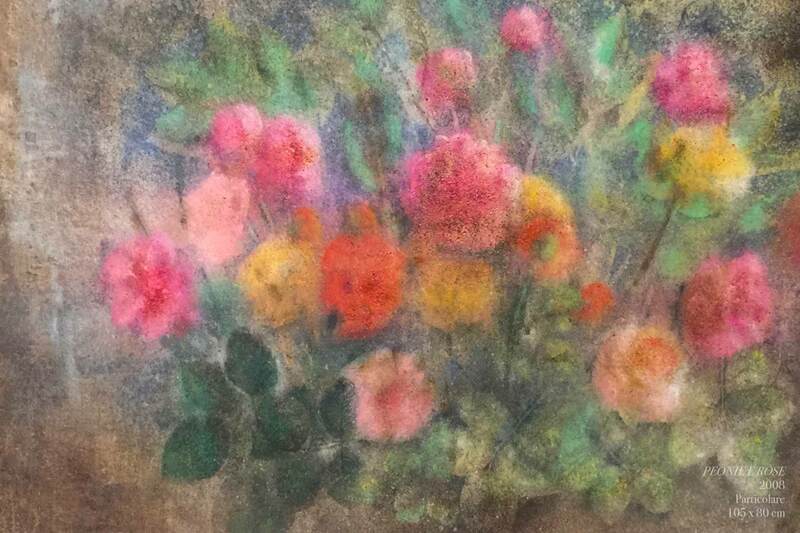 From this year onwards, he is invited to take part in the ‘Premio Fiorino’ National Exhibition, Florence. 1955 Awarded a prize at the Extemporary Painting Competition, ‘Circolo culturale Vecchio Mercato’, Florence. Judged by Antonello Trombadori, Ottone Rosai, Ugo Capocchini. Prize winner at the ‘Colori di Tirrenia’ Painting Competition, Tirrenia. Judged by Carlo Carrà, Enrico Pea, Mino Maccari. Prize winner at the national ‘Amedeo Modigliani’ Painting Exhibition, Livorno. Judged by Renato Birolli, Felice Casorati, Raffaele De Grada, Marco Valsecchi. One man exhibition at ‘La Strozzina’, Palazzo Strozzi, Florence, presented by Silvano Giannelli. 1956 Invited to take part in the VII ‘Premio del Fiorino’ National Exhibition, Florence. Selection committee: Ugo Capocchini, Primo Conti, Michelangelo Masciotta. Awarded the ‘Lorenzo Viani’ Honorary Prize for the Arts, jointly with Spazzapan and Vedova. Awarded the ‘Emblema d’Oro con Fiorino’ by the Junior Group of the Florence Union, a prize for young painters. Prizes awarded by Prof. Giorgio La Pira, Mayor of Florence. The work for which he was awarded the prize, ‘il suonatore di violoncello’ is in the Palazzo Pitti Modern Art Gallery, Florence. 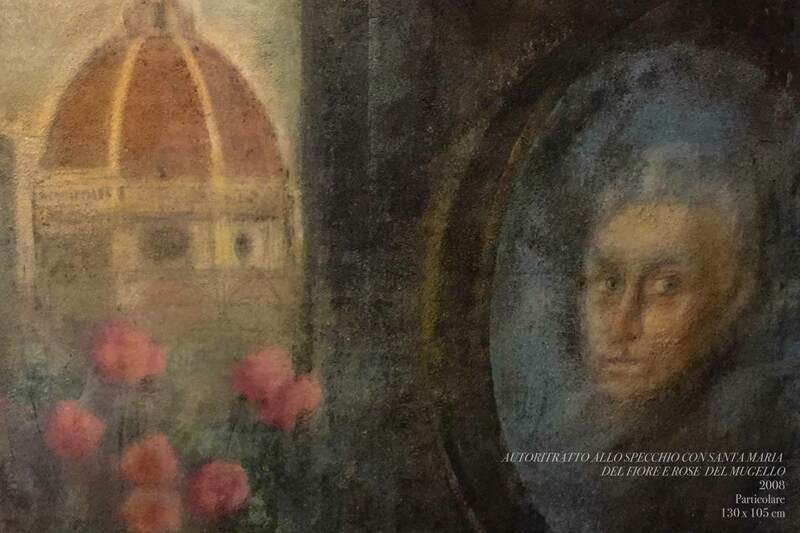 1957 Invited to exhibit a collection of works at the ‘Saletta del Fiorino’, Florence, to mark the meeting honouring Mario Luzi, Marzotto Prize for poetry 1957, and Domenico Rea, guest of Florence for his literary work. Meeting chaired by Mario Gozzini. 1958 Beginning of long friendship and artistic association with the painter Daniel Milhaud. Takes part in the ‘Il Lavoro nei campi’ Painting Prize, Vinci, Florence. Awarded second prize, with Daniel Milhaud winning the first prize. Trip to Salzburg (Austria) with Daniel Milhaud to attend the courses held by Oskar Kokoschka at the International Academy of Vision. 1960 One man show at the ‘Santa Croce’ Gallery, Florence, presented by Antonio Busignani. 1961 One man show at the ‘Accademia delle Arti del Disegno’, Florence. 1963 Takes part in the national ‘Premio di Viareggio’ Competition, Viareggio. Judged by Carlo Carrà, Bruno Rosai. Awarded the First prize, Gold Medal (Medaglia d’Oro) by the President of the Republic, Antonio Segni, and receives invitation to exhibit at the Galleria d’Arte Garofalo, Rovigo. Study trip to England, Scotland and Wales. 1964 Prize winner at the ‘Leonardo da Vinci’ Liceo Scientifico Competition, Florence; judges included Carlo Ludovico Ragghianti and Renzo Federici among others. 1968 Study trip to Holland. 1969 Wins the First Prize Gold Medal at the 16th ‘Premio Tirrenia’ Competition, Tirrenia. Gianfranco Mello taught in the state sector from 1957. In 1982 he left teaching to devote himself full time to his art and research into achieving his pictorial content through a highly personal and unique technique. Mello’s decision to step back from the national artistic stage dates to the end of the ‘Sixties, at the time of the economic boom and the commercialisation of art. These changes in the art world could not be embraced by an artist who had spent his formative years amongst the most significant figures from the world of culture. The profound sense of humanity within any work of art worthy of the name, sustained Mello in his tenacious artistic quest. Mello thus continued his research while making contacts with the international art scene. In the period between 1970 and 1990 he held large exhibitions of a cultural nature in unusual venues such as cloisters, universities and basilicas. These exhibitions brought Mello to the attention of a wide cosmopolitan audience, who showed their appreciation of his oeuvre. In 1971 he was invited to show his work at Drexel University, Philadelphia. The exhibition, organized by Prof. Mercia Grassi, received favourable reviews in the major papers and was acclaimed by the public and critics alike. During this period he worked between his two studios: one in the centre of Florence opposite Santa Croce and the other in the Chianti countryside. In 1977 he held a one man show at the ‘Loggetta del Trentanove’, Faenza. In 1978 he was invited to show his work in the large rooms of the ‘Casermetta’ (Army Barracks) at the Forte di Belvedere, Florence. The exhibition was also held in 1979, 1980 and 1982. 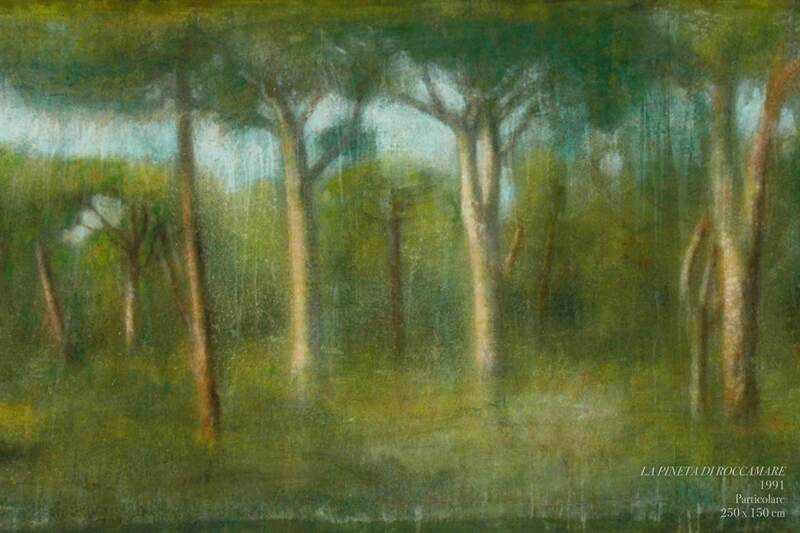 In 1981 he was invited to show his work at the ‘La Cupola’ Gallery in Padua. 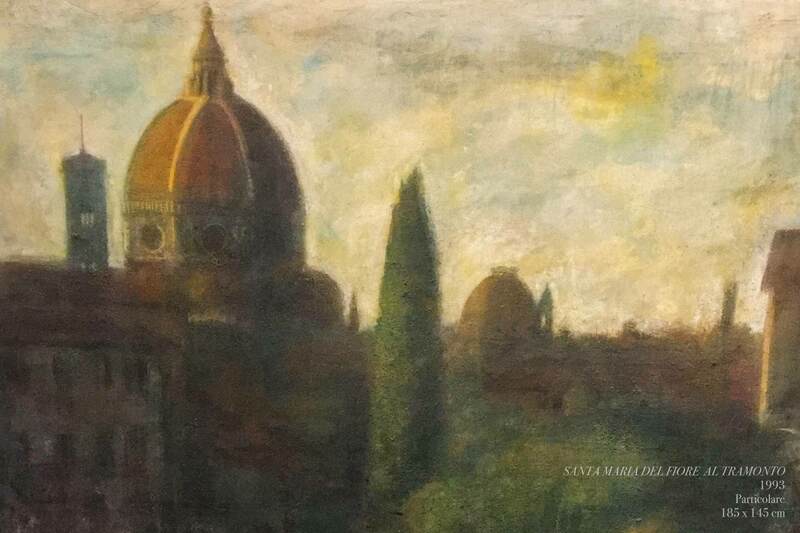 In 1992 he was invited to show his work in the Cloisters of the Church of Santa Croce, Florence. The exhibition was also held in 1995, 1996 and 1997. In 1993 he exhibited at the Champs Elysées, Paris, France. The exhibition was held repeated in 1996. In 1994 he was invited to show his work in Zurich, Switzerland. In 1998 he took part in an exhibition in the San Marco Church Cloister, Florence. During 2000 a group of his works was exhibited at the ‘Lobby Gallery’ in the United States. The exhibition was reviewed in the major newspapers. More detailed information about Mello’s artistic career, the exhibitions at which he has shown since his youth, his critical acclaim and success can be found in the monograph edited by Professor N.R.A. Vroom, 1986. Vroom, a scholarly and highly cultivated Dutchman, organized an exhibition of Primo Conti’s work in Holland at that time. 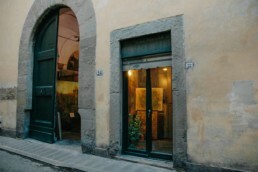 Mello met Professor Vroom at Primo Conti’s studio in Fiesole; the Dutchman became interested in Mello’s art and visited the exhibition of his work on show at the time in a gallery in Via Maggio, Florence. They struck up a ten-year friendship which only ended with the return of Professor Vroom to Holland. It was Professor Vroom who advised Mello to publish the history of his artistic career in the monograph of 1986. Mello’s work is in Italian and international public and private collections. A large collection of his work was acquired by Drexel University, Philadelphia, USA. A significant number of his works belong to a Swiss collector and admirer of Mello’s, who began collecting them from the 1980’s. One of his works is in the Palazzo Pitti Modern Art Gallery, Florence. © 2017 Fondazione Mello – Unauthorized reproduction of all or part of this site is prohibited without any permission of Fondazione Mello – Studio d’Arte Le Colonne.